Released just after Final Fantasy, the original Phantasy Star, quite frankly, blew the former away in both visuals and narrative, and the fourth iteration is regarded by many as being the best in the series. At the time of its release for the Sega Genesis, its astronomical price ($99.99, if I remember correctly!) kept it out of my grubby hands and I've never had a chance to play it. But put it on a cart or UMD with the other three, and I'll be first in line. Are you listening, Sega? Another one of Square's Super Nintendo masterpieces that has inexplicably never seen a re-release - and not to be confused with the drag that is Children of Mana. For those of you born after 1991, think Zelda, only more sugary-cute and equally as awesome. I feel like the pleasant graphics would still hold up well today with absolutely no changes, but with some additional DS graphical upgrades...be still my heart. 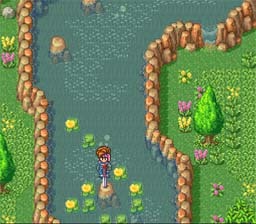 While we're on Secret of Mana (Seiken Densetsu 2 in Japan), how about its sequel? SD3 bests its precursor in almost every single way, even throwing in alternate storylines depending on the three unique characters you choose at the outset. Square has consistently ignored the stateside release of this game, making us a paltry 1/3 on Seiken Densetsu titles (incidentally, we did get Seiken Densetsu 1, which came to the original Game Boy as Final Fantasy Adventure). The publishers of Dragon Quest also came out with this tri-Ace developed game that saw a number of PS2 sequels fly across the pond. As the Super Famicom's swan song, the humongous 48 megabit cart packed custom chips and even digitized speech. 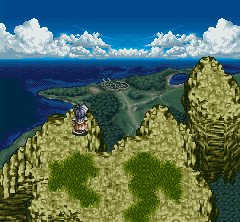 After Tales of Phantasia made its appearance on the Game Boy Advance, I waited in breathless anticipation for Star Ocean, but it was not to be. And that's to the detriment of all RPG fans. This slot could probably have also gone to the Beyond Oasis, but since that venerable Genny title is now available on the Wii Virtual Console, it has sort of lost its glitter of rarity. Not to mention, Landstalker was a superb game in its own right, again in the vein of Zelda, albeit from a 3/4 perspective. 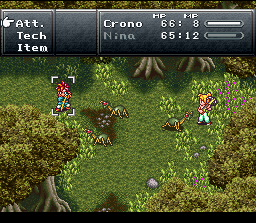 One of the Genesis' better action RPGs, though the perspective makes jumping pretty tricky sometimes. Way back when Square and Enix were actually different companies and the RPG market was still pretty much a two-horse race between Final Fantasy and Dragon Quest, the news of an upcoming project between the creators of both caused rabid anticipation. The result was an unqualified success. Hironobu Sakaguchi and Nobuo Uematsu paired their Final Fantasy game design and music with Akira Toriyama's art to create one of the finest RPGs ever made, even to this day. So why haven't we seen it again, you ask? I guess Square-Enix just hates money.